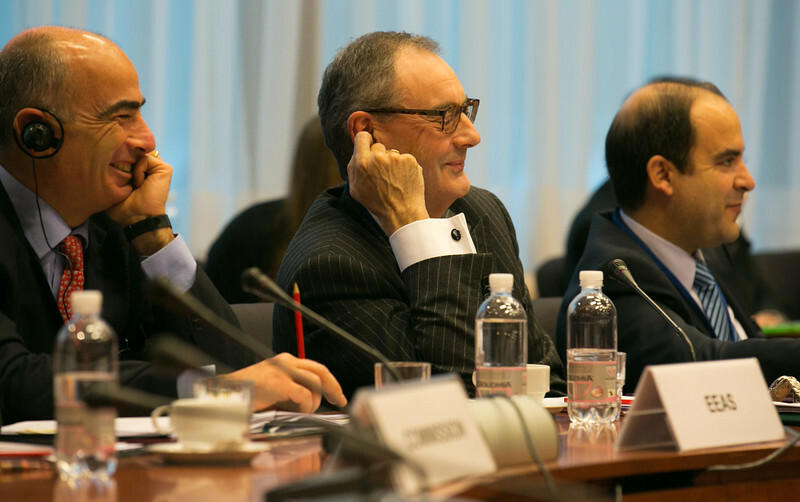 The thirty-eighth meeting of the EEA Council took place in Brussels on 26 November 2012. In light of the 20th anniversary of the Single Market at the end of this year, the EEA Council recognised with satisfaction that the EEA Agreement has been a durable instrument in ensuring the smooth functioning of the European Economic Area. The EEA Council held an orientation debate on Trade and Regulatory Cooperation with EEA Neighbours. Read full news release. Left: Gianluca Grippa, Head of Division, European External Action Service; and David O'Sullivan, Chief Operating Officer, the European External Action Service.